The World of WearableArt (WOW®) is a leading arts event on the international design, fashion and costume calendars, culminating every year in the annual WOW® Awards Show staged in Wellington - the creative capital of New Zealand. This annual extravaganza twists conventional perceptions of both art and fashion and weaving these into a spectacular two hour performance. The non-stop spectacular is held at the TSB Bank Arena on Queen's Wharf in Wellington, New Zealand. WOW® is unique every year and this year the 2011 Show season is one month earlier, and extended by an additional week 25 August - 10 September to accommodate Rugby World Cup fans wanting to see the show. This year's show will feature the Royal New Zealand Ballet who will be performing for the entire season and a uniquely WOW® celebration of Kiwi Icons – you wont want to miss it! Tickets: Available at the World Of WearableArt website. 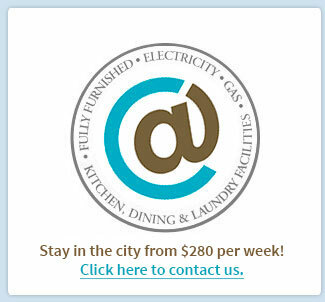 Accommodation: Book Online at Prime Hotels. Imagine: Rocky Horror meets Baron von Münchausen and gets wrapped in a cloak of Cirque du Soleil... The result? Gravity-defying stunts, music, trickery and sensuous comedy - this is Monster Burlesque. A late-night burlesque variety show unlike anything seen in New Zealand before. From the moment you walk through the doors of Wellington’s historic Paramount Theatre, you’ll find yourself immersed in another world - swept up in a carnivalesque playground. With ticket in hand, like a fantastical backstage pass, you’ll head for your seat and enter the surreal and spectacular world of Monster Burlesque. For 75 minutes you’ll be presented with an eclectic hybrid of dance, comedy, theatre, circus and music combined with a kaleidoscope of sumptuous costumes. 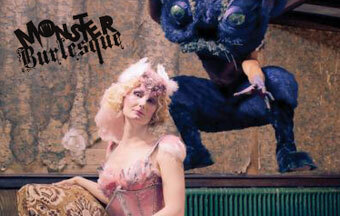 Monster Burlesque will be a spectacle not easily forgotten. You’ll take this unique experience home with you feeling enriched, entertained and utterly delighted. Don’t miss this high-kicking, high energy musical masterpiece exploding onto the St James Theatre stage this September. Set in America in the 1930s, 42nd Street is an all singing, all dancing musical extravaganza that celebrates the essence of what dreams are made of. It is a story of hard work, being in the right place at the right time, talent and love. It is a timeless and inspiring tale of a small town girl’s rise to fame, from chorus girl to Broadway star. 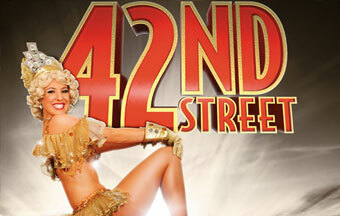 42nd Street features dazzling art deco sets, costumes and choreography direct from the latest Tony Award winning Broadway revival. Get ready to move those dancing feet in songs like You’re Getting To Be A Habit With Me, Dames, I Only Have Eyes for You and We’re In The Money. Bring along the whole family to sample the colours, sounds, tastes and spicy aromas of India. Highlights of the festival include delicious food stalls, traditional and contemporary dance and music, and a grand finale fireworks display. India’s best loved festival, Diwali symbolises the triumph of light over darkness, good over evil and the renewal of life. To celebrate, families light small oil lamps (diyas) around the home and set off fireworks. 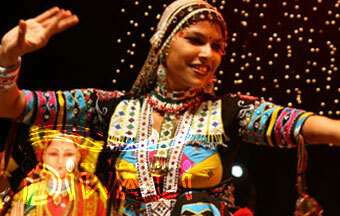 Now you too can enjoy a taste of authentic Indian culture at Wellington's 10th Diwali Festival of Lights. 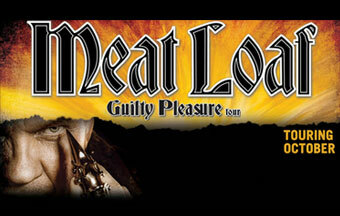 Meat Loaf’s ‘Guilty Pleasure’ tour promises to feature a stellar array of Meat Loaf hits, both past and present. It will be big! It will be dramatic! It will ROCK! Some people think big. Some people think huge. Then there's Meat Loaf. While other artists may have tried to match his scale and sound, so far none have come close. Happily, he's heading back New Zealand for a run of arena shows proudly presented by The Frontier Touring Company. Meat Loaf certainly requires no introduction, he burst onto the world music stage in 1977 with his landmark release Bat Out Of Hell, which transformed him from a stage actor into a rock 'n' roll icon. This album has sold more than 43 million copies worldwide and is the third biggest selling record of all time, selling in excess of 200,000 copies a year! Spectacular sets, sumptuous costume design and breathtaking classical choreography bring one of the most traditional ballets to life. Three years in the making, The Meridian Season of The Sleeping Beauty will be the highlight of 2011. 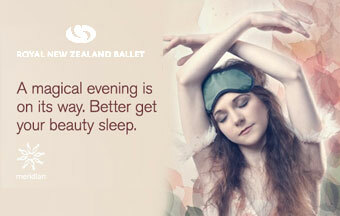 The Sleeping Beauty is the pinnacle of the classical ballet repertoire. The Royal New Zealand Ballet has spent the last three years creating this magical version of a fairytale favourite in order to bring you our biggest production to date. Set to Tchaikovsky's soaring score, The Sleeping Beauty tells the timeless story of young Princess Aurora who falls prey to the evil fairy Carabosse - only a kiss from a handsome prince will break the spell and ensure her future happiness. The Sleeping Beauty features some of the most famous and demanding choreography and, to this day, remains one of the must-see ballets of all time. This spellbinding traditional masterpiece will take your breath away.